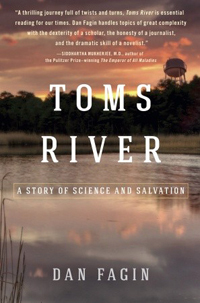 Citizens and residents of Toms River, NJ, USA, have a higher incidence of cancer directly attributed to the causative agents by untreated industrial effluents dumped into their groundwater. The journalist Dan Fagin, wrote a self-titled book laying out the details of the problem and its aftermath – personally for an unfortunate few, and legally from lawsuits to compensate for suffering of the people – all stemming from the negligence of the industrial overlords. You can read more about his book here. It got 2014 Pulitzer prize for non-fiction. Close to town of Karaikudi (Ramanathapuram/Sivagangai District) we know of stories of neighboring villages polluted by a certain public-sector petro-product company etc. But despite court-orders they continue to be functioning with little respite for the citizens. I see what is happening in Thoothukudi right now as an effort to raise awareness of higher than random incidence of cancer most-likely attributed to past Sterlite unsafe practices; people are coming together to literally save their livelihoods and need assurances and updated practices and concrete buy-in before questionable practices can be allowed to continue. Our computers – interconnects, microprocessor chips, IC’s in appliances like microwave oven, toaster etc, smart phones, lines of telephone wires, and cable TV’s need copper. We have to find a way to extract it safely and dispose off the effluents in internationally agreed safe processes, and continuously monitor the neighboring areas for contamination of ground-water, air and other environmental hazards. Up until that point it should be a no-go. People of Tamilnadu deserve their voices heard. Tamil people have written on Copper – செப்பேடு – now we don’t want our fates written by Copper. Surely this can’t be too much to ask!